Architecture of an OutVID: How to Wear Bunny Ears » thereafterish. Architecture of an OutVID: How to Wear Bunny Ears » thereafterish. Cheap Monday muscle tank maxi dress. 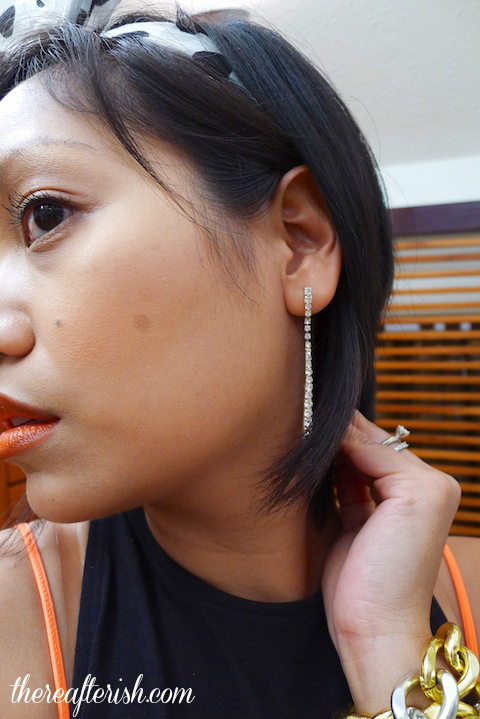 American Apparel twist wire headband. Bamboo Sky neon bralette. HRH Collection (Glossed ombre bracelet & Ultra Luxe Bracelet) and vintage arm party. Marc by Marc Jacobs East West tote. DRESS: Cheap Monday Melinda Tank Dress (exact same). Black racer back tank maxi dress. Cut out racer back maxi dress. TOTE: Marc by Marc Jacobs East West Preppy Tote (exact). 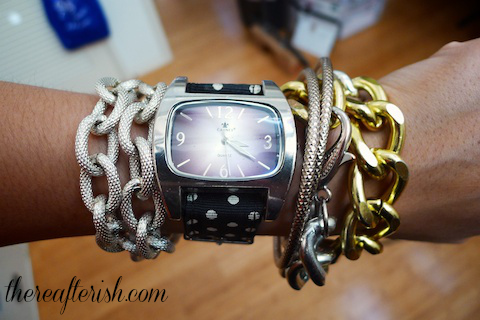 ARM PARTY/ARM SWAG/ARM CANDY: Silver chain bracelet. Multi-color chain bracelet. Gold tone chain bracelet. Chunky chain bracelet. 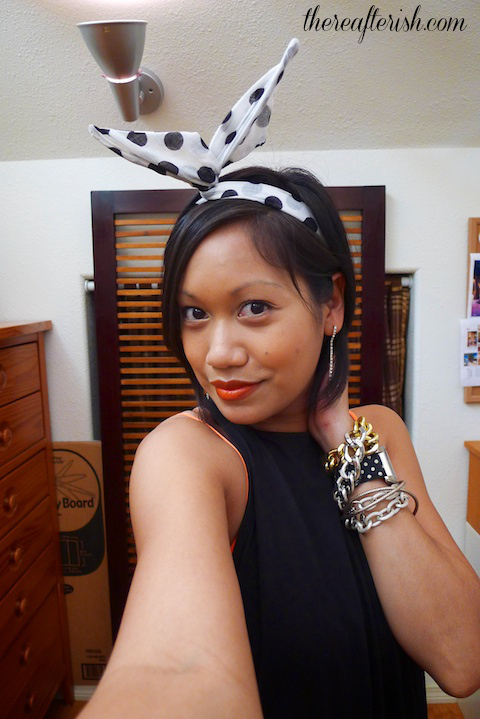 HEADBAND: Polka dot wire headband. My OOTD: Marc by Marc Jacobs East West tote, American Apparel Bunny Ear headband, Bamboo Sky bra, Cheap Monday Muscle Tank maxi dress, HRH Collection arm swag. My trusty MJ briefcase carries my computer, iPad, iPhone and my girly daily essentials and has weathered 2 trans-ocean trips. Arm Swag: (L-R) HRH Collection Luxe bracelet, random polka dot watch, vintage, HRH Collection Ombre bracelet. Built-in air conditioning with side vents in the “muscle tank” part.